Wind, Storm, and Hail Damage. 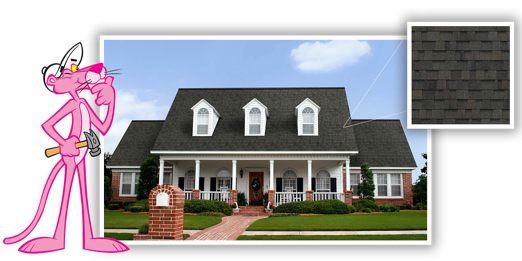 When your roof or siding get damaged by hail or wind it can be a scary experience. 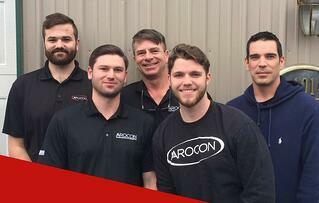 AROCON is more than a construction company, we are also experts in homeowner insurance claims. Our friendly staff is here to give you peace of mind that you can expect fair treatment from your insurer. First Step, File a Claim. After calling Arocon, the first step is to locate your insurance policy information. Filling a claim has gotten easier over the years with most companies having online or smartphone apps to speed things up. If you have a mortgage on the house, you will also want to notify the mortgage company and ask them for a claim packet. Once the insurance company is notified of a claim, they assign an adjuster to assess the damage. A lot of times this is actually a private contractor that works on behalf of the insurance company. We know how to work with the adjuster to clearly explain what it’s going to take to put your house back together correctly. We use the same satellite technology and estimating software as the insurance company so they can compare apples to apples. Our process will expedite your claim. Often times we will explain the details of construction to the insurance company to make sure they are being responsible. We also need to make sure that if your house is not up to current codes, the deficiencies are addressed. Once a fair solution is agreed to, you will get an insurance claim summary in about a week. Get More from Your Claim. There are a lot of technical details and specific products used in repairing storm damage. Without the help of a contractor like AROCON, the insurance adjuster can miss some of these details leaving you with an incomplete repair or worse. We are knowledgeable about filing Claim Supplements in the cases where a property owner already has a claim, but more is needed. Why the Mortgage Company is Involved. Since the mortgage company is holding your home as collateral against the loan, they are required to sign off on the check that is issued by your insurance company. The reason for this is that the mortgage company has a vested interest in seeing your home being restored and maintaining its value. This may seem complicated, but we are used to it and happy to smooth out the process. Recoverable depreciation is the amount of the claim that the insurance company holds back to make sure that the work is actually performed. If you do not complete the work or not all of it, you will typically forfeit this money. That Means Lifetime Warranties on Material and Workmanship available.